Individual accomplishments were also recognized at the banquet. These swimmers and divers received NWSC All-Conference Honors: Caitlin Aarseth, Elizabeth Altman, Maddie Bast, Lauren Buendorf, Lily Chabica, Abbey Cornelius and Brenna McMahon. 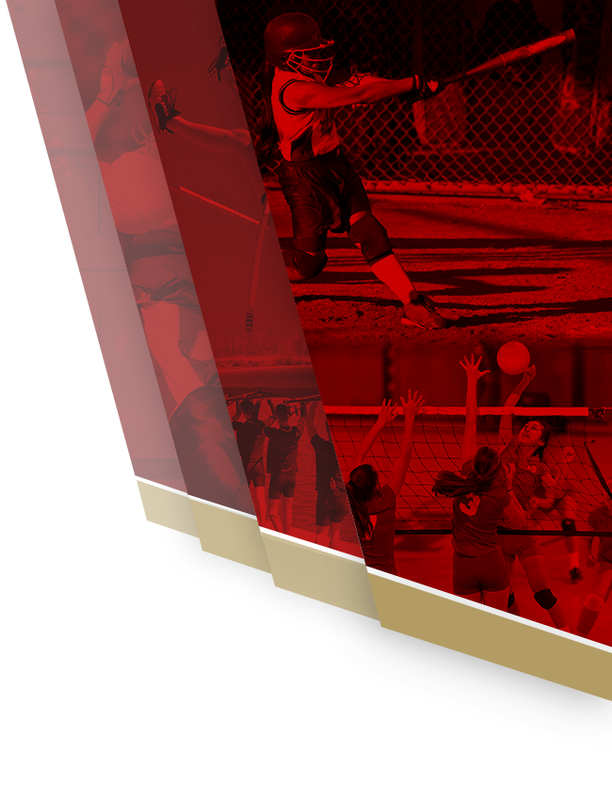 NWSC All-Conference Honorable mention recipients were: Nadia Abid, Morgan Bosacker, Ella Sand and Sammy Soller. 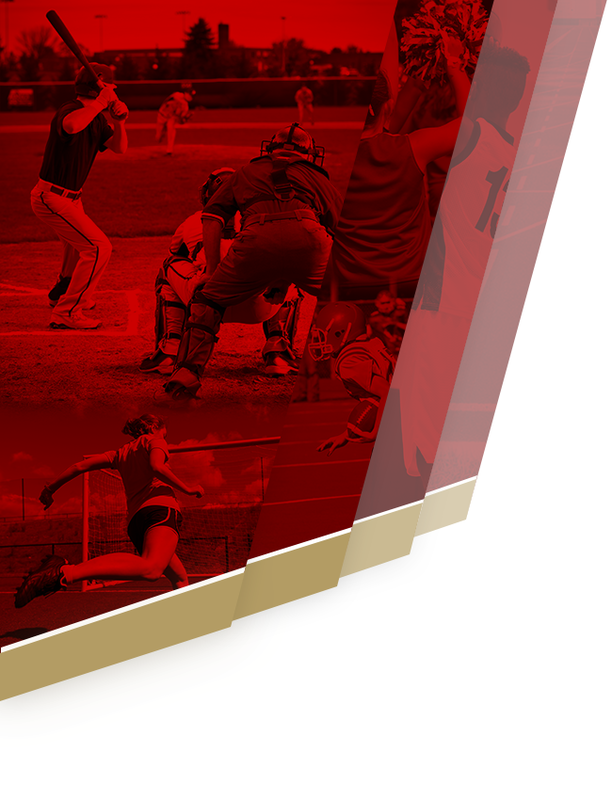 The team also voted on a number of awards, including Ms. Crimson. This award is given to the swimmer/diver who best exemplifies the Crimson Way characteristics of motivation, gratitude, scholarship, and honor. The 2018 award recipient was senior, Teagan Kautzman (pictured below). 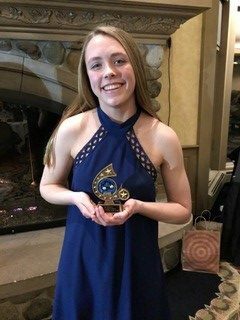 “Teagan’s kindness, caring, hard work and determination make her a perfect winner of this award,” said Head Coach Laura Hebzynski. The last award given out at the banquet was the Grace Heitzig “Iron Girl” award. This award is given each year in to a new swimmer who has characteristics of a positive attitude, great team spirit and a passion for swimming, just like Grace. Charlie and Katie Heitzig, Grace’s parents, presented the 2018 Iron Girl awards to Sarah Kahl and Ryann Hopp. 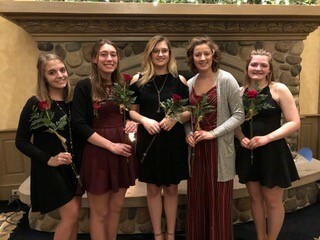 The 2019 Maple Grove Girls Swim & Dive captains were also announced at the banquet. They are: Chloe Balder, Anna Chabica, Abbey Cornelius, Clarissa Kulda and Noelle Shandley.